The health and well being of a workforce is a key part of corporate social responsibility (CSR) and it is crucial to the wider issue of sustainable development. Recent events in the Bangladeshi garment industry have focused the world’s attention on wealthy companies that exploit cheap labor in the developing world. Bangladesh’s $20 billion garment industry makes it the third biggest clothing exporter in the world, but the working conditions for the country’s 3.6 million garment workers are unsafe. According to the advocacy group International Labor Rights Forum, since 2005, at least 1,800 garment workers have been killed in factory fires and building collapses in Bangladesh. Garment jobs in the country pay 3,000 takas ($38) a month, which are some of the lowest wages in the world. In Bangladesh, like many other developing countries, workers’ rights are virtually non-existent. These abysmal working conditions are due in large part to a combination of government corruption and industry indifference. Research by Nuffield Health and Ashridge Business School asserts that “companies need to develop a strategic approach to health and well being and concentrate on building a ‘sustainable workforce’ if they are to remain competitive.” The UK-based report, Developing a strategy for employee wellbeing: a framework for planning and action, calls on companies to focus on improving employee well being as a way of strengthening an organization and reducing risk. Even some of those involved in sustainability are not invested in the issue of creating a sustainable work force. For those engaged in sustainability, climate change and environmental degradation get a lot of attention, while the vital human element is sometimes overlooked. A vision of sustainable development is emerging that factors social concerns like labor relations. Part of this vision involves supporting workers’ rights and offering practical support to the wider community. However, all social engagement starts with ensuring safe working conditions and fair wages. 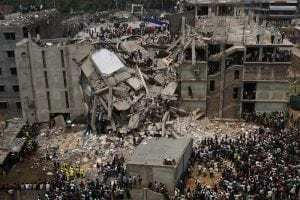 The collapse of the Rana Plaza complex near Dhaka on 24 April 2013 killed 1,127. Roughly 2,500 people were rescued from the building, including many injured. This is the worst disaster in the history of the garment industry and the world’s worst industrial accident since the Bhopal gas leak in India in 1984. The illegally constructed, eight-storey complex collapsed while thousands of people were working inside. The factory remained opened despite the fact that cracks had appeared in the building and an engineer had declared it unsafe just a day before the collapse. In response to the tragedy, the Bangladeshi government said it had closed 16 garment factories in Dhaka and two in the south-eastern port city of Chittagong for safety reasons. A new Bangladeshi Cabinet decision will allow for the creation of trade unions without requiring permission to do so. Previously, workers who tried to organize trade union were subject to beatings, harassment, firing, arrest and even murder. There are also plans to raise the minimum wage for garment workers. Western companies that do business in countries like Bangladesh have had their reputations sullied by all the negative media focus. They are being forced to react quickly to try to protect themselves from a public backlash. As a consequence of the collapse and fire, international retailers like H&M, Inditex, (the parent company of Zara) C&A, Primark and Tesco have all signed a building and fire safety agreement backed by the coalition of labor groups known as IndustriALL. This agreement is both legally binding and enforceable. It requires independent safety inspections, public reports, mandatory renovations, fire safety training and it obliges involved companies to underwrite the costs and to terminate business with any factory that refuses to make necessary safety upgrades. Even prior to signing the agreement, Primark and its Canadian counterpart Loblaw have already announced that they will compensate the victims of the Plaza disaster. The fire in the Tung Hai sweater factory in Dhaka on May 8, 2013 killed eight people. The Tung Hai factory produces clothes for retailers in the UK, Germany, Ireland, Spain, and Canada. Unlike the Rana Complex, the Tung Hai building appears to have been in conformity with local codes. Despite this fact, at least one company saw the risk and responded before the fire at the Tung Hai buidling. Canadian company Point Zero ended their operations at the Tung Hai building due to “non-compliance with our code of conduct for external vendors.” This illustrates the point that responsible companies often need to go beyond local standards. In an era of social media, harmful news travels fast. While Point Zero managed to avoid a plethora of bad press, the media and even the Facebook page of the Loblaws subsidiary Joe Fresh has been inundated with concerns about international working conditions. NIKE is a model for engaging issues as they relate to the health and safety of workers. Nike is a company that understands and incorporates worker health and safety into their overall sustainability strategy. This is a Herculean task as the factories that supply the brands of NIKE employ more than 1 million people, most of which are in the developing world. In the late 1990s, NIKE was one of the first companies to deal with the challenges of their global supply chain, including responsible labor practices. In their FY05/06 Corporate Responsibility Report, they identified an overall goal to bring about systemic change for workers. Nike’s first wave of this program was with contract factories in Vietnam. Their approach employs three main tools: audits, human resources management (HRM) training and lean manufacturing. Through their HRM program they even provide training for factory managers to help them to comply with labor requirements that often go far beyond local regulations. 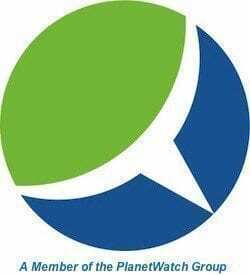 During FY10, HRM incorporated modules on health, safety and the environment (HSE), environmental sustainability and energy/greenhouse gas management. The training also addresses ways of protecting workers’ freedom to associate. These HRM training programs involve government officials, trade union representatives, representatives from the International Labor Organization and other key local stakeholders. One of the most important lessons learned by NIKE is the need to engage change on a grander scale by collaborating with others including governments, NGOs, activists and even competitors. Through these efforts, Nike realized that transparency and collaboration offer a competitive advantage. For NIKE, sustainability has moved beyond a peripheral concern to become a “deeply integrated” component of their business strategy that drives innovation and acts as a key factor supporting their long term growth. The building collapse and subsequent fire represent the complete failure of cooperative labor management relations and illustrate the costs associated with inaction. The exploitative relationship between Western companies and the Bangladeshi garment industry underscores the point that even working conditions in contract factories far away from target markets can have far reaching impacts on a company’s reputation and incur unwanted costs. The proactive efforts of sustainability leaders like NIKE demonstrate that responsible corporate leadership can provide safe working environments and enhance the quality of life of workers, all while benefiting the bottom line. As is often the case, it takes a tragedy to auger change. Although new agreements signed by Western companies will help, they will not mend damaged reputations. Companies that proactively engage sustainability, including a sustainable workforce, reap tremendous benefits, while those that do not suffer tremendous costs. One of the chief lessons learned by the tragedy in the Bangladesh garment industry is that a company is responsible for its global supply chain. While some continue to argue the merits of reduced labor costs, companies simply cannot afford to ruthlessly exploit substandard working conditions in the developing world.